I have had my share of water damage experiences throughout the different homes I have rented out of and owned. The majority of my issues have been from rain leaks, while I have encountered one serious plumbing issue. These are serious issues and any sign of water damage should be looked at by either a professional or someone you know who can handle it. If you let it go on long enough, it just ends up getting a lot worse. The rain leak issues I encountered were generally from faulty foundation. Every time it rained, the basement would practically flood. We would have to get a shop vacuum to pump the water out. Fortunately it was all concrete, so we did not need to worry about carpets drying out. But, a basement flood cleanup was necessary. My second experience where water repair was needed occurred with a pipe burst. Finding a reputable same day service restoration service is key for issues like these. They came out and had to do some significant pipe fixing from the upstairs. The overall process took approximately one week due to the carpets drying out. Since it was from the upstairs, the ceiling need to be patched up which needed it’s own separate time to set and dry. Dealing with water damage is a pain, but finding the right restoration service is priceless. 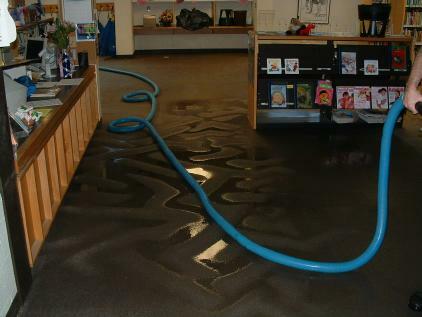 Water Damage Restoration: Leave it to professionals! Water damage: Don’t get submerged by it!